Basionym: Navajoa peeblesiana Croizat fa. maia Hochstätter Cactaceae-Review IRT 2(2): 10-11. 1999. Type: Little Colorado River Gorge, Arizona, fieldnumber fh 500, SRP (collected 1979). Pediocactus peeblesianus (Croizat) L. Benson var. maianus L. Benson, The Cacti of Arizona, 23-24, 179-187, 1969. 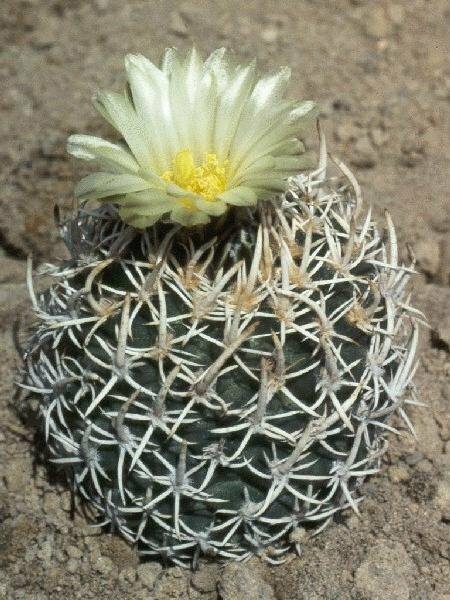 Pediocactus peeblesianus (Croizat) L. Benson fa. maia Hajek, Kaktusy 34:72-73, 2000. Arizona: fh 500, (type), Painted Desert, 1,450m.